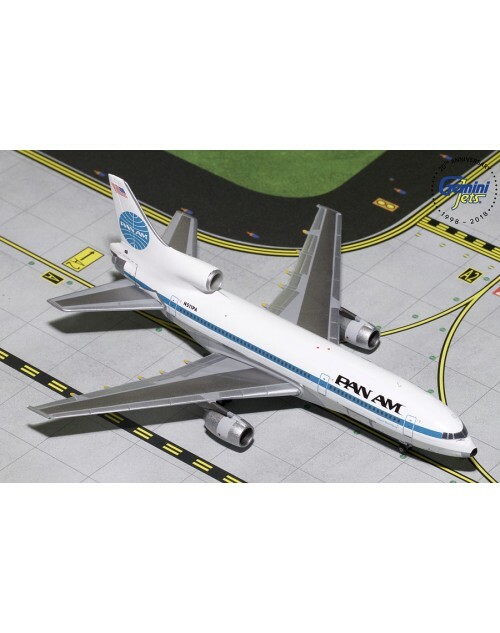 1/400 scale diecast Gemini Jets Pan Am Lockheed L-1011-500 with final color scheme. Registration: N511PA, msn: 1195. Item # GJPAA1688. Released in January 2019. Dimensions: Length: 5 3/8 inches (13.7 cms), wing span: 4 3/4 inches (12.1 cms).